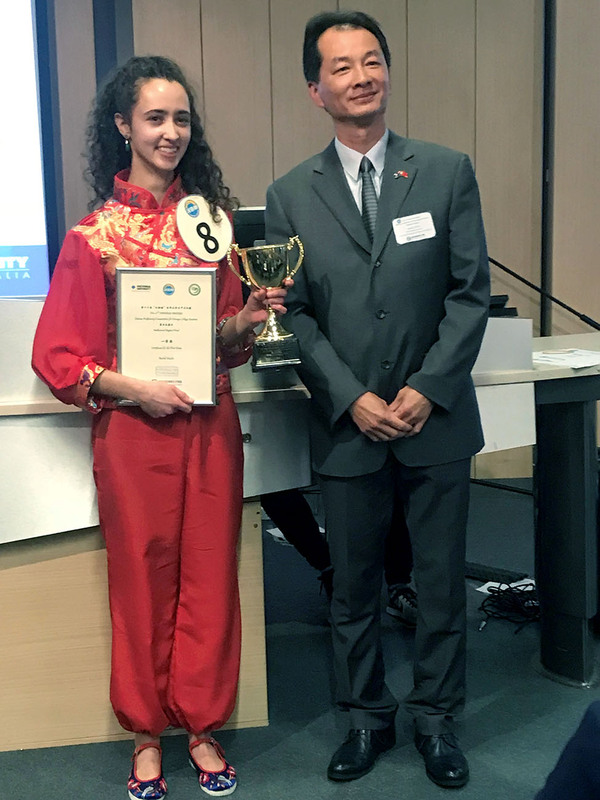 Students from The University of Melbourne competed at the 17th Chinese Bridge Chinese Proficiency Competition for Foreign College Students (Melbourne) on May 19. Rachel Madin and Adrienne Bray were able to repeat history by winning the top two prizes. 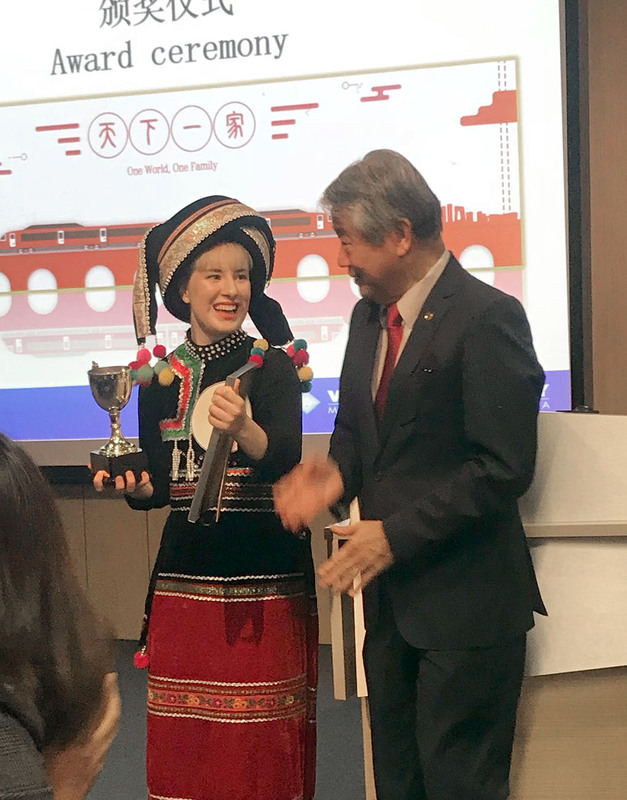 The judging panel was deeply impressed by their language proficiency, insights into Chinese culture and outstanding artistic performances. 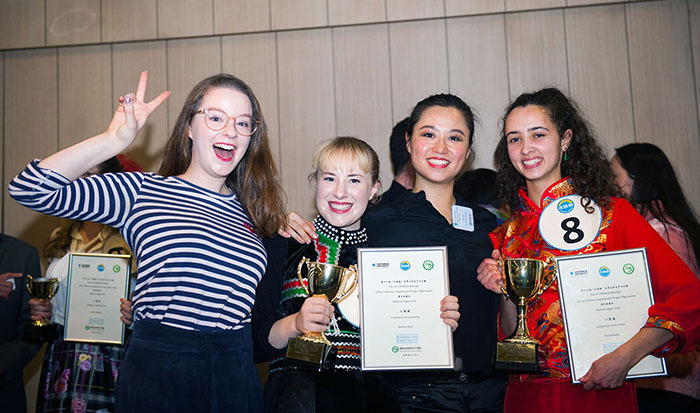 Rachel (Bachelor of Arts (Chinese Studies)), the first-place winner, and Adrienne (Bachelor of Arts (Chinese and Asian Studies)), the runner-up, will travel to China in July to represent Victorian universities in this competition’s grand finale, facing challenges from elite Chinese language learners all over the world. They will compete for a grand reward of a multi-year scholarship to study at a preferred Chinese university. 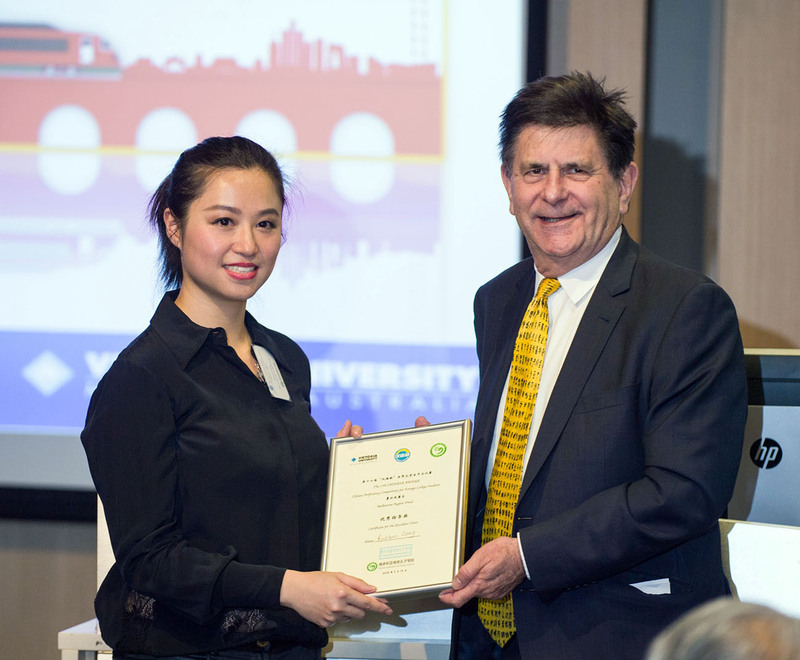 Big congratulations to our outstanding students, and also to Ms Ruonan Zeng, Principal Tutor in Chinese Studies, who received the 'Excellent Supervisor' awards for coaching the two students.